Although many people associate the Robin with winter, snow and Christmastime, these cheery little birds are with us in Britain all the year round, although some robins also come to Britain and Ireland as summer visitors. Robins, members of the thrush family, are commonly found in woodland, parks and gardens; they seem to prefer areas with plenty of undergrowth. 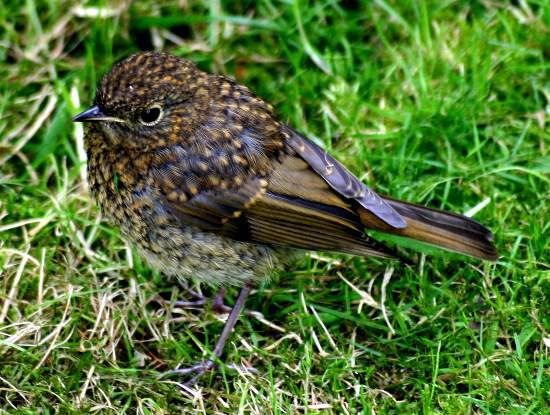 Young Robins do not have red breasts, so it is fascinating to watch them grow and gradually colour up. 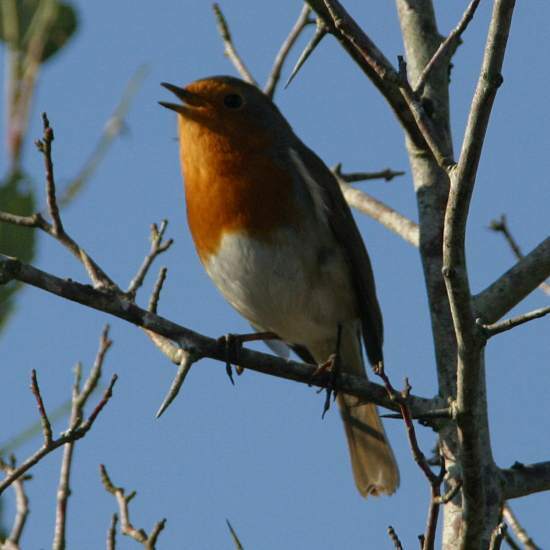 In winter, gardeners often have a Robin for company: they are not particularly shy birds, and it is a joy to hear a robin singing, high up in a tree or on the gable end of a house. They feed mainly on the ground, hopping around beneath bird feeders and readily accepting food from a bird table. 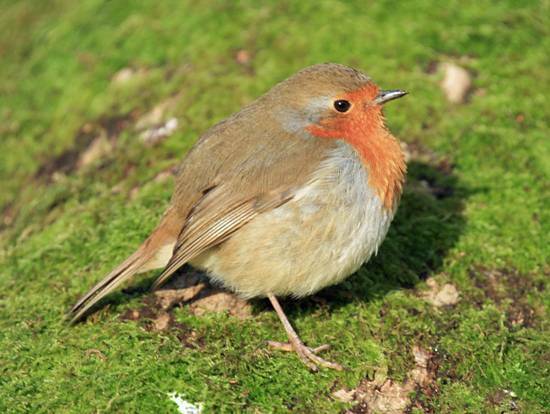 Robins are not long-lived birds. Many live for just one year, although some enjoy a two-year lifetime.